Ferrari won the first battle of this year’s war, but Mercedes showed its dominance is hardly hurt. Lewis Hamilton’s record-breaking pole position time in the first qualifying session of the year was an ominous sign for Mercedes’ rivals Ferrari and Red Bull. The Italian team came close to the titles last year, at least it was strong enough to challenge Mercedes on a regular basis after three years when the Anglo-German team swept the rivals away with an outstanding and frightening technical advantage. However, Ferrari’s championship challenge derailed after the unfortunate crash at the Singapore Grand Prix which was then followed by technical hiccups in the subsequent two races. The team wanted to build on the previous season, close even more in on Mercedes and iron out the reliability issues. Last year, Ferrari usually was superior in corners which were not taken at full throttle due to its high aerodynamic downforce. Despite being that effective in the corners, the car lacked of aerodynamic efficiency. It was quite draggy which meant the SF70-H was not competitive on high-speed circuits like Silverstone or Monza. The team wanted to improve the weaknesses of the car over the winter. The new car has a similar name to its predecessor, but it is a very different concept. In fact, the SF71-H features a long list of departures from the design paths of the predecessor, the SF70-H. Among the top teams, Ferrari stands out with the most aggressive redesign of its previous car. Its rivals Mercedes and Red Bull followed the development routes of their 2017 challengers. Mercedes is clearly the field-leading team and engine-manufacturer in terms of power unit which is superior regarding fuel consumption, power output, reliability and still features a special qualifying mode. “Mercedes has developed a system that allows them to go beyond the performance limits of their equipment. 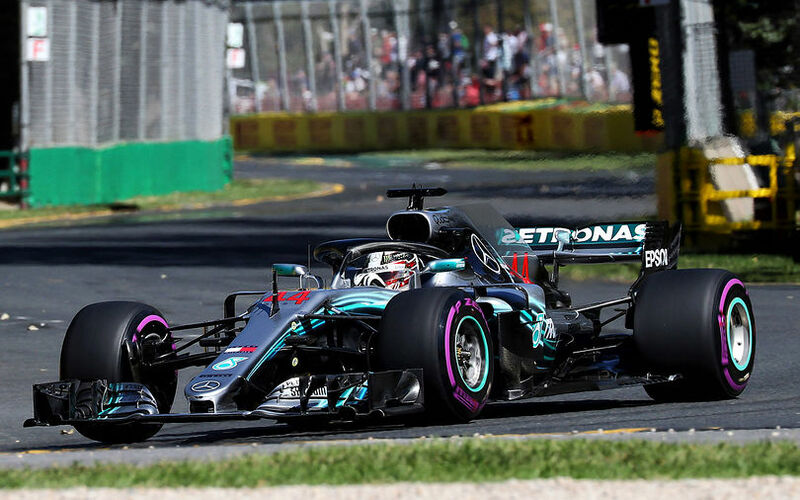 The other manufacturers do not dare or have not developed such engine maps," said former F1 driver Alexander Wurz who thinks it is down to the fact that Mercedes pouched many engineers from Cosworth which also had special engine modes. The early test sessions at Barcelona already indicated that the SF71-H has a completely new characteristics due to the new aerodynamic solutions. Those assumptions got then confirmed over the season-opening Australian GP weekend in Melbourne. Hamilton topped the qualifying session with a time of 1:21.164 which was 0,664 faster than the second fastest time set by Kimi Räikkönen. Of that time, the Briton gained 0,294 in the first sector over the Finn, 0,138 in the second sector and 0,232 in the last part of the track. According to the data, the Ferraris gained three tenths over Lewis Hamilton on the straights in the qualifying session which means that the red cars lost around 9 tenths in the corners. Studying the GPS data shows that the SF71-H was consistently faster on every straight. It is very rare that two drivers of the same team dominate every speed traps of the sector border lines. Ferrari managed that: Kimi Räikkönen and Sebastian Vettel were the fastest on the finish line and at the virtual border between both the first and second, second and third sector. Comparing and analyzing the on-board footage of Hamilton’s and the Ferrari drivers’ fastest qualifying lap clearly shows the differences of the two cars, highlighting Ferrari’s weaknesses. Vettel was in front of Hamilton on the first straight after the start-finish line, but he spectacularly lost out into the first corner under braking and the initial cornering phase. The German than was strong again on the straight, but his car got unstable under turning into turn three. Vettel usually got wider on the mid-points of medium-speed corners which indicate that Ferrari did not have the optimum front grip. Coming into turn 13, a slow, 90-degree corner Vettel missed the apex again, crying for front grip. In the last corner, Vettel needed to correct the car again in the mid-point. It is clear that the SF71-H has a very good aerodynamic efficiency, produces low drag, reaches outstanding top-speeds, but its lacks of front downforce and braking stability. The team was well aware of that before Melbourne, because Vettel indicated that Ferrari has to iron out problems and understand the car fully. On top of that, both drivers were carrying out tests in Melbourne which was a mule solution, a combination of the 2017 and 2018 front wing. Behind the change of characteristics of Ferrari’s new car compared to its predecessor, there is a long list. Last year, Ferrari was the first team to push the boundaries around the sidepod area to the absolute limits, pushing the inlet back and forming the crash structures with vertical vanes. This concept was copied by many teams for 2018, but Ferrari went even more aggressive with this successful design and slimmed down the sidepod area in frightening way, decreasing the drag of the car. The SF71-H features a longer wheelbase to its predecessor. Ferrari stayed with its very conservative front suspension layout while its rivals like Mercedes or Red Bull are playing around with the angles of the suspension arms, lifting them up for aero reasons. It is remains to be seen whether Ferrari can work on those aerodynamic issues in the near future. For the forthcoming round, the Bahrain Grand Prix, Ferrari do not plan any major changes to the car, it wants to optimize its SF71-H for the long straights and heavy braking zones of the Sakhir International Circuit. However, the team is said to bring new aerodynamic solution including a new floor to the third round which will be hosted by China. This should improve the instability over braking and the initial cornering phase, the turn-in momentum.